Q: Who is Your Favorite “New to You” Author You Read in 2015? A.M. Dellamonica moved to Toronto, Canada in 2013, after 22 years in Vancouver. In addition to writing, she studies yoga and takes thousands of digital photographs. She is a graduate of Clarion West and teaches writing through the UCLA Extension Writers’ Program and the University of Toronto. Dellamonica’s first novel, Indigo Springs, won the Sunburst Award for Canadian Literature of the Fantastic. Her fourth, A Daughter of No Nation, was released in December, 2015. She is the author of over thirty short stories in a variety of genres, which can be found on Tor.com, Strange Horizons, Lightspeed and in numerous print magazines and anthologies. She is AlyxDellamonica at Twitter, Instagram, Facebook and Pinterest, and her website is at http://alyxdellamonica.com. 2015 was a year of many rereads; I made a conscious effort to closely study a number of books I’d really enjoyed in the past, and as a result I didn’t read as many new novels. (I did try to make up the difference with short stories.) Three writers I was happy to discover, though, were Ilana C. Myer, Fran Wilde, and A.C. Wise. And I’ve talked about the latter two elsewhere recently so I want to say a few words about Myers, and her debut fantasy novel Last Song Before Night. This is a lovely book made more beautiful by its sharp edges. It’s about a culture that relies on music for magic, one that bars women from practicing magic. Men are bards; girls are chattel. This is awful enough in its own right, of course, but it’s clear early in the novel that magic doesn’t work that way, and no amount of institutionalized sexism or denial is going to change the ecosystem of enchantment that is slipping into a dangerous imbalance. In Last Song before Night Myer creates a determined and talented hero who must pass as male if she is to have any chance of competing for a musical prize valued throughout her homeland. But this prize is no mere trophy: the winner may hold the key to stopping a magical plague, and possibly a coup too. While 2015 seemed to be the year of the sequel, with a lot of hotly anticipated middle volumes coming in from established authors, it also saw more than a few authors cross my shelves for the first time. 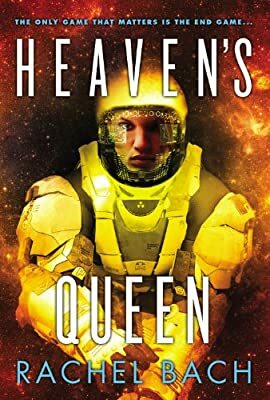 I finally got the chance to immerse myself in the newest works of Bradley P. Beaulieu, Peter Orullian, Ken Liu,and Victor Milán – and enjoyed them all immensely – and I was an early fan of Marc Turner’s debut. When I look back and think ‘new-to-me’ authors, though, there is one name that comes to mind, and it madly refuses to make room for any others – Michael R. Fletcher. Much to my chagrin, I let the ARC of Beyond Redemption sit on my shelves for a good 6 months before finally deciding to give it a go. The book blurb intrigued me, but I was hesitant. I knew nothing about Fletcher, and hadn’t encountered any advance hype – good or bad – from the review community. In fact, I’d almost talked myself out of taking that chance when, on a whim, I decided to give the first few chapters a cursory read . . . and was immediately hooked. Everything about Fletcher’s novel just worked for me. I loved the imagination of it, with the ever-growing madness of the narrative sucking me right in. I kept waiting for it to collapse under the weight of its own ingenuity, but it just kept getting better. The level of world-building was both astounding and complex, but presented in such a way as to make the power of madness as easily accepted as that of magic or prayer. The characters were more than worthy of the story they were tasked with carrying, especially Konig and his Doppels; the pacing was just about perfect; and the narrative was exceptionally strong. What’s more, having had the chance to get to know him – and having stocked my metal playlist with a few of the albums he listened to while writing – I feel even more of a connection with the book. Seriously, if I could force 1 book into people’s hands, tie them to a chair, tape their eyes open, and demand that they read it, Beyond Redemption would be it. Kristen Bell Kristen Bell is the editor of Fantasy Café, a website focused on fantasy and science fiction books that has hosted Women in SF&F Month every April since 2012. She is on Twitter @fantasycafe. My very favorite book of the year by a new-to-me author is Uprooted by Naomi Novik, an enchanting fairy tale story featuring magic, a strong friendship, and some romance. Best of all is the main protagonist, Agnieszka, a brave and determined woman who refuses to give up and accomplishes more than anyone could have imagined her capable of doing—especially herself. Because Uprooted has—quite deservedly—been praised all over the Internet this year, I’d like to highlight my next favorite book by a new-to-me author, a debut released in the UK early this year that will not be released in the US until next year: The Invisible Library by Genevieve Cogman. The series premise is likely to appeal to many genre fiction fans—the main character, Irene, is a spy who travels to alternate worlds collecting books for the Library, an organization that exists outside of time and space—and it is so much fun to read. Irene is a fantastic main character. She’s practical with a great sense of humor, and she’s great at her job since she’s able to quickly evaluate a situation and decide the best course of action. The Invisible Library is a book that answered some questions but also introduced more intriguing mysteries to ponder after finishing it, and I’m very much looking forward to finding out what happens in the next book, The Masked City (which was just released in the UK earlier this month)! Troy L. Wiggins is from Memphis, Tennessee. He was raised on a steady diet of comic books, fantasy fiction, and role-playing games. His short fiction and essays have appeared or are forthcoming in Griots: Sisters of the Spear, Long Hidden: Speculative Fiction from the Margins of History, The Mash-Up Americans, Literary Orphans, and Memphis Noir. He is a contributor at Book Riot and Panels, and he blogs about the intersection of speculative fiction, race, and nerd culture at Afrofantasy. Troy lives in Memphis with his wife and their expuptriate. He can be found on Twitter @TroyLWiggins. I’d always heard rumblings of Ayize Jama-Everett’s work. His books would pop up on various round ups of must-read speculative fiction by authors of color. All of the algorithms on my library apps and online bookstores have suggested his books, The Liminal People, The Liminal War, and The Entropy of Bones surely hundreds of times. I’d added each of them to my ever-expanding TBR list, and moved on to other work by authors that I knew, or stories in which I was already invested. There’s no time to begin a new series, I told myself. Better to wait until you have the time and energy and space to dedicate to the new work. Your mind lets you know when you’re just making excuses. You start to wonder exactly why you haven’t done that thing that you’d promised yourself you’d do. In early December, I bought Jama-Everett’s third book The Entropy of Bones, sat down over a cup of coffee, and devoured it. As a kid who didn’t really start reading until I was introduced to comic books (much like Jama-Everett himself), the story, the characters spoke to me. There were so many levels to his work, so many different themes and identities and stories wrapped up in this ostensible not-quite-a-superhero-novel-but-yes-it’s-totally-a-thriller page-turner. His work deals a lot with these people on the margins struggling to accept themselves and find their place in a larger world, with a family that accepts them and provides them with a place to belong. This might sound like mumbo-jumbo, but I totally believe in there being a right time for people to encounter things or situations or people, and what is a book but a combination of all of those? My year has been filled with changes and upheaval and shifts, and it looks like I came across Mr. Jama-Everett’s work at exactly the right time. Now I just have to read those other two books. Mieneke van der Salm works as an information specialist at a university library. In her free time she aims to create her own library at home and, together with her husband, raise two little geek girls. She blogs about her reading adventures at A Fantastical Librarian and was nominated for a World Fantasy Award in 2014. You can find her on Twitter @Pallekenl. While reviewing books means that I often get to discover new to me writers, they also tend to be mostly debut authors; it is rare that I read an older book or discover an author who has an extensive back list. So while I thoroughly loved discovering authors such as Sue Tingey (Marked), Rhonda Mason (Empress Game), Peter Newman (The Vagrant), and A.F.E. Smith (Darkhaven,) I was really excited to discover some authors this year do have a back list. My favourite “new to me” author I read in 2015 is actually a tie, because I couldn’t choose between them. To be fair, I knew of these authors before I read them, if only because many of my bookish friends adore their writing and one of them runs a really successful podcast. Who are they? None other than James Smythe and Bradley Beaulieu. I read their latest releases, Way Down Dark and Twelve Kings of Sharakai respectively, and I adored them both for different reasons. Smythe’s super dark, violent, and somewhat claustrophobic dystopian YA novel set in space was engrossing and gave me chills for all the right reasons. While Way Down Dark is Smythe’s YA debut, it’s his sixth published novel. If Smythe’s book is SF-fy goodness, Beaulieu’s Twelve Kings of Sharakaiis epic fantasy at its finest. This year featured some fantastic epic fantasy releases and Twelve Kings definitely ranks high amongst them. Its luscious world-building, fascinating mythology, and complex characters swept me away into the desert city of Sharakai and made the book’s hefty page count seem too small, because I didn’t want to leave. Twelve Kings of Sharakai is the first book in Beaulieu’s second series, which gives me a further three books to read. And while I’m stoked to know that I have two more backlists to dig into, my current to be read pile is eyeing me balefully, so it might take me some time to get to them! Kallen Kentner is a book reviewer, former journalist, and the content manager of GeekyLibrary.com, a website providing book reviews for geeks since 2012. You can connect with her on twitter @GeekyLibrary. If I think of two of the most amazing science fiction and fantasy books I read this year, I would probably list The Fold by Peter Clines and Uprooted by Naomi Novik. However, those are singular books. When I think of favorite new authors, I think of someone else. I discovered steampunk fantasy author Gail Carriger for the first time this year and she certainly surprised me. I’m not generally a fan of paranormal fantasy, steampunk, or romance— these three genres probably best describe Carriger’s debut novel, Soulless, which was published back in 2009. After that wildly successful debut, she followed Soulless with four sequels to finish up the “Parasol Protectorate” series, wrote four young adult novels, and started a new series this year with the publication of Prudence. I only picked up Soulless because I had heard that Gail Carriger was coming to town on tour and I was planning to attend her author event. I had originally written it off because of the aforementioned genres, but found it was far more than the sum of its parts. If not the best books I read this year, the parasol protectorate series was a ton of fun. Stretching myself outside of my genre comfort zone introduced me to some greatly entertaining books. When I’m looking for a comfort read, a good laugh, or just wanting to mix up my usual reading fare, I know I’ll be able to depend on Gail Carriger’s books. Stefan Raets Stefan Raets reads and reviews science fiction and fantasy whenever he isn’t distracted by less important things like eating and sleeping. You can find him on Twitter @sraets, on Tor.com, and on his own website Far Beyond Reality. Early in 2015, an advance copy of Touch by Claire North landed on my doorstep. I’d never heard of her, and the blurb sounded a bit too standard-horror-ish for my taste, but I decided to try a few chapters anyway. It ended up being one of my favorite novels of the year, only surpassed by North’s “debut” The First Fifteen Lives of Harry August, which is one of the very best novels I’ve read in decades. Both Touch and The First Fifteen Lives of Harry Augustplay with the concept of immortality, but in different ways. In Harry August, immortality is circular: upon “dying”, Harry is immediately born again, under the same circumstances, to the same mother, on the same date. In Touch, the protagonist’s immortality is linear rather than circular: he can transfer his consciousness to another body by a simple touch. North’s most recent release The Gameshouse (a set of three connected novellas) again features seemingly immortal folks, but I haven’t read all three yet so I’m not sure where she’s taking the story. Claire North is one of the finest wordsmiths currently working in the genre. I was tempted to compare her prose to that of Catherynne M. Valente, but truthfully, it would make a poor comparison: even though her skill approaches Valente’s, North’s prose is more notable for its chilly precision than for Valente’s warm lyricism. Regardless, I simply can’t recommend Claire North’s novels enough. Start with The First Fifteen Lives of Harry August. Kat Hooper (@KatherineHooper) teaches neuroscience and research methods at the University of North Florida. In her free time, she is the managing editor at Fantasy Literature (@FanLit), a group SFF review blog. Though I read 180 books in 2015, I promised myself I wouldn’t read anybody new. I was planning to spend the entire year catching up with all the series I had started and not finished over the years. I did manage to complete or get caught up with (or occasionally abandon) a lot of those unfinished series. But out of desperation for something different, eventually I broke my promise and read several short novels and stories by a few authors who were new to me. Honorable mentions go to Django Wexler, Robin Sloan, and Alastair Reynolds. I will be reading more of their work soon. But my favorite new-to-me author is Italo Calvino. He totally captured my imagination with his short novel Invisible Cities. I adored this compilation of fantastical vignettes in which Marco Polo tells Kublai Khan about the cities he has visited. These cities are described not only by their geography, demographics, and architecture, but by the way they affect citizens’ and travelers’ language, perception, memory, imagination, mood and desires. These beautifully written stories are little metaphors that have a lot to say about human nature and the way it changes over time and as we age. I loved Invisible Cities and look forward to reading more Italo Calvino. Best discovery in 2015? That’s a hard one for me to answer, as I didn’t read more than one book by any given author in 2015. But there were a few books by authors I’d never read before (in long-form printed fiction), and to whom I will certainly be returning in 2016. If I have to pick one, though, it’s got to be Pat Cadigan, whose 1987 debut novel, Mindplayers, for lack of a better term, blew my mind. To give some context, I read this book in the middle of an extended project on cyberpunk. And one of the things that immediately struck me was how different her take on cyberpunk is. I mean, we all have an idea of what cyberpunk should look like, right? Lolz aside, we do still have some preconceived notions: books people probably think in terms of Gibson and Sterling, while the popular culture folks are more likely to imagine a cross between Ghost in a Shell and System Shock 2. Only Mindplayers isn’t like any of these things. Rather, it’s about what happens when you can wander through your dreams, and the dreams of others. explore human psychology—both of the mundane variety, and that which emerges more specifically from the experience of mindplay (in both its positive and negative forms). In this sense it contrasts with the more sociological Neuromancer, though Mindplayers is no less profound that Gibson’s classic. And it happens to be a damned good book too, propelled by great characters and fabulous writing. I plan to read either Synners or Fools in 2016—or both. Martin Cahill is a graduate of the Clarion Writers’ Workshop, a member of the Altered Fluid writing group, and has had stories published in Nightmare Magazine and Fireside Fiction. He’s a contributing writer for Book Riot, a freelancer for Tor.com and Strange Horizons, and also blogs about books, beer, and beyond at his own website. Martin is currently on the lookout for any professors brandishing clubs and canes with which to attack him. You can find him on Twitter at @McFlyCahill90. I wish I had the time to tell you about all the amazing writers and their work that I’ve come to know in this year. I wish I had the chance to tell you about all the new voices and worlds I’ve had a chance to explore. But alas, I can only choose one, and for the year of 2015, the writer that’s new to me, that keeps haunting my pen and my mind, whose work pushed me and made me think and broke me more than any other this year, was Seth Dickinson and his debut novel, The Traitor Baru Cormorant. Brutal, brilliant, and cutting, Dickinson is not interested in telling the same old stories, and does not truck with how epic fantasy should be. Instead, he uses every chance he gets to push back against any notion of a static genre, and pushes to write a world with as much joy and depth, horror and nuance as our own world can be. Employing a queer woman of color for his protagonist, Dickinson uses Baru to comment on power, agency, sexuality, compromise, empire, finance, warfare, and the small ways one can lose themselves to survive in a world desperate to ground you into ash. Seth Dickinson is my pick for best new author to me for this year, and his debut, The Traitor Baru Cormorant is not to be missed. And while it has its share of flaws and sound criticisms, those too act as a tool by which to learn, and in the vein of Baru’s perspective, are not things to be ignored but to be studied. With those two combined, the work itself and the criticism and study its earned, you’ll gain a large understanding as to what makes Dickinson’s work so compelling, and so worth reading. Ardi Alspach hails from South Carolina, works as a publicist at a small independent publisher in New York City, and lives with the most photogenic cat in the world. Follow her on Twitter and Instagram @ardyceelaine. Every January I get really excited about setting up a new Goodreads reading goal, because I’m a nerd like that, but it’s part of a new year ritual that makes me excited about what amazing books the next year will bring, whether new to me or newly published. This year, I passed my reading goal because there were just so many great books in my TBR pile. This summer, a friend gave me a copy of Joe Abercrombie’s Half a King, and I’ll admit that I hadn’t planned on reading it otherwise, but I’m very glad I did. It was my first Joe Abercrombie book, and it just blew me away. Somehow, in a mere 336 pages, Abercrombie managed to tell a sweeping tale where the protagonist experienced so much and changed dramatically as events unfolded from beginning to end. I devoured that book as well as the others in the series as soon as I got my hands on them. Another new one for me, this time on the science fiction side of things, was Emma Newman’s Planetfall. Again, a short book that packs a lot in a short time frame. This one stands out for me because of the unreliable narrator aspect as well as a vastly different take on new planet colonization. The science was believable, especially the reliance on recycling and 3D printing, but most importantly, this book deals with the psychological consequences of extreme loss, guilt, isolation, and post traumatic stress. I was immersed in the story and in how the protagonist dealt with so much, especially being a part of the only colony on a new planet knowing she could never go “home” again. It deals with loss and anxiety in such a sensitive way, but in the end, there’s a lot of hope too. I’d be shocked if this book doesn’t sweep all the awards in 2016. Sarah Chorn reads too much, and writes reviews on her website www.bookwormblues.net. She also runs the column Special Needs in Strange Worlds on SF Signal and can be found bothering people on Twitter: @BookwormBlues. Linda Nagata and her The Red trilogy has to be my favorite discovery this year. She has completely blown me away with her writing, and her absolutely addicting books. They are powerful and thought provoking and oh-so-wonderful. The Red takes place in the near future. It’s military science fiction, and all three books are out through Saga Press. She has this uncanny ability to make powerful characters, and drop them into a powerful world, and somehow she manages to give every aspect of her book the perfect amount of attention. It all works together to create something dynamic and completely unforgettable. Ken Liu’s book The Grace of Kings also floored me. While I know he has been known for his short stories, I haven’t read any of his work until I picked up this book. To be honest, he sort of revitalized epic fantasy for me. The setting is nonwestern. It’s interesting, fresh, and new. The world is complex, the plot is full of politics and characters that aren’t what they appear to be on the surface. The writing is stunning. I listened to the audiobook and I was completely carried away by it. Liu is a powerful author, and he made me incredibly interested in exploring more of his work. The Builders by Daniel Polansky belongs on this list, as well. This year I’ve really become interested in novellas and short stories, and The Builders was a ton of fun and so completely different than anything I’ve read before. It had me laughing out loud, and on the edge of my seat wondering what was going to happen next. The characters, however, are what really made this book shine. Anthropomorphic animals aren’t anything I’ve really read about before, but Polansky packed his book full of them, and they ended up being some of the most interesting characters I’ve ever read. This novella was fantastic, and it made me want to explore more of what Polansky has written. My favorite new-to-me author was Michael Shaara. His short story collection, Soldier Boy, pulled me right in and I found myself devouring it quickly, one story after the other. I’ve since re-read a large portion of the book because I felt drawn back to it. It is a collection I highly recommend.